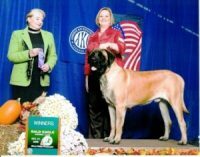 Mastiffs Pups raised in the home with love and affection. Health testing and temperament testing behind all pups for several generations. Pups sold with American Kennel Club (AKC) registration papers, a written Health and Temperament contract/guarantee. Pups Veterinarian checked before they leave for their new homes. Feel free to look through our site. 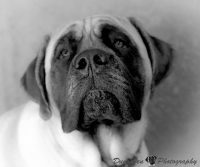 There is information and adorable mastiff puppies with their new owners.